SOFT'UP LITE : Safety, performance, resistance and reliability for the young champions. 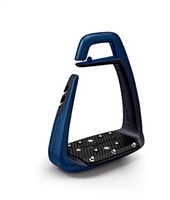 Single-branch stirrups reduced in size (footwear up to 39/8.5 US) designed after the SOFT'UP PRO. The SOFT'UP LITE 2016 features a new flexible outer branch which helps to free the foot in case of a fall. A removable PIN'S is attached to the mini branch to customize the SOFT'UP LITE. Black/Black, Black/Blue, Black/Brown, Black/Red, Black/Grey, Black/Pink and Black/Navy. 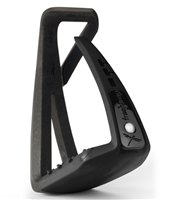 The SOFT'UP Pro is available in all black or all brown and black with red, blue, navy, chocolate, pink, and bordeaux. Also in black/silver Premium Edition(extra $25).